Farcry 3 Blogger Template is a blogger template consisting of two columns and sidebar is located on the right side, this template adopted the theme of the game are very well known, namely FarCry. These templates use the slider menu, rounded corners, page navigation and dropdown menu. It is suitable for a blog with the theme of games online. 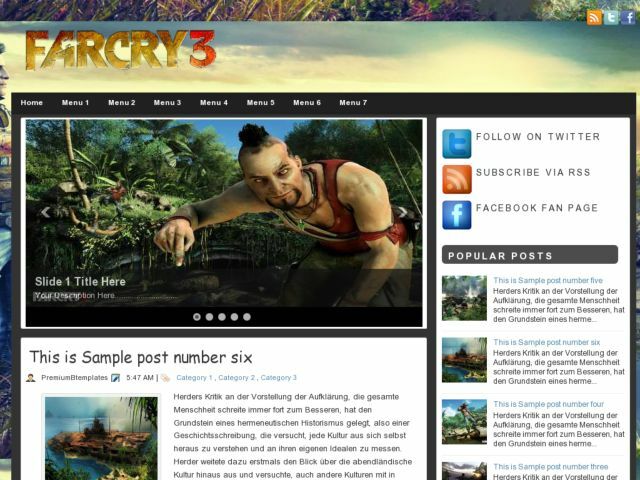 Download Farcry 3 Blogger Template at Blogger Templates Gallery.